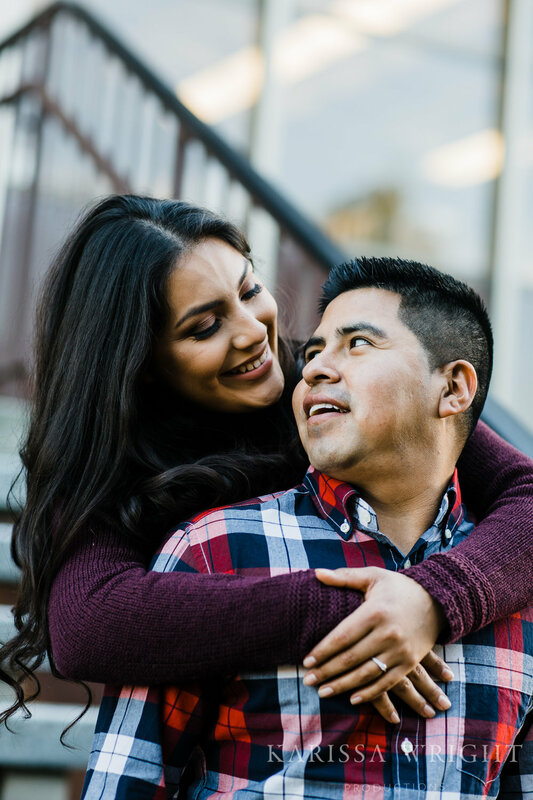 Engagement shoots are not only a time to get some beautiful photos for your Save the Date cards or Engagement announcement but can be a great time to build a relationship with your photographer. Your once-in-a-lifetime event is going to be something you want your photographer to get excited about and want to stay longer than they are scheduled to. It may not be just about the whole wedding entirely, like the reception details or venue location, but because the photographer loves you and would want to go above and beyond what is the norm for any other couple they have worked with. On the flip side, engagement sessions are a good time to point out anything you did not like: specific poses, or how your arm was in a certain shot, etc. Present your observation not in a condemning way, but in a way that lets your photographer know that these are things to look out for or not do on the day of the wedding. Like I said, your once-in-a-lifetime event cannot be redone, so engagement sessions are sometimes practice as each couple is different.